House Majority Leader Kevin McCarthy told Republican colleagues last year, in remarks caught on a recording and obtained by The Washington Post: "There's two people I think Putin pays: [Dana] Rohrabacher and Trump." Rohrabacher, a California Republican, is perhaps Putin's most outspoken defender on Capitol Hill. What happened next: Some lawmakers laughed, McCarthy added "Swear to God," and House Speaker Paul Ryan cut the conversation short and told the people in the room, "No leaks, alright? This is how we know we're a real family here." 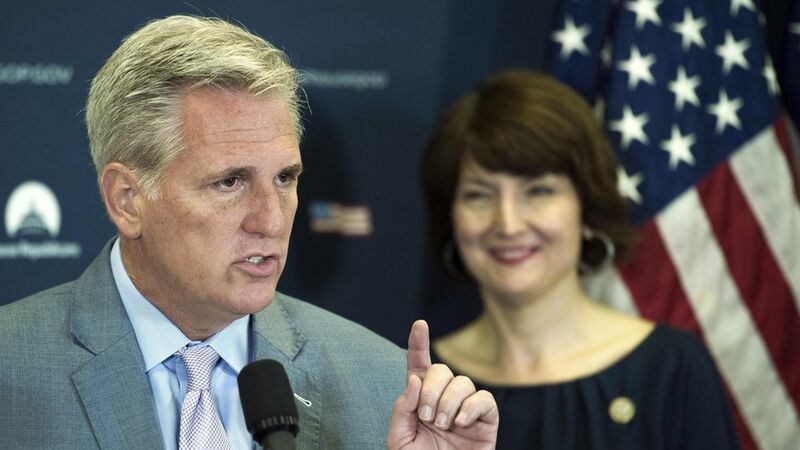 McCarthy responds: McCarthy told an MSNBC producer Wednesday he had been making "a bad attempt at a joke." Who else was in the room: Cathy McMorris Rodgers (Republican conference chairman), Steve Scalise (majority whip), Patrick McHenry (the deputy whip), and others. Why the accusation: Both Ryan and McCarthy had just left a meeting with Ukrainian Prime Minister Volodymyr Groysman, who detailed the Kremlin strategy of undermining European democracy by financing populist politicians. The caveat, from The Washington Post: "It is difficult to tell from the recording the extent to which the remarks were meant to be taken literally."